We seek perfection for design, technology and sustainability. Noken has several tap production centres around the world whose main standards are excellence and quality. Perfection is sought for pieces in all phases of the process, from design to manufacturing and certification to fulfil quality standards and provide an outstanding, lasting finish. Testing of the product is essential, as is constant research for efficiency and improving quality of life. The heart of a tap is in the cartridge. At Noken we work with internationally certified cartridges which guarantee durability over time and a smooth, attractive movement for greater user convenience. Through periodic trials we study the reliability of the product, ensuring compliance with the quality standards of PORCELANOSA Group. 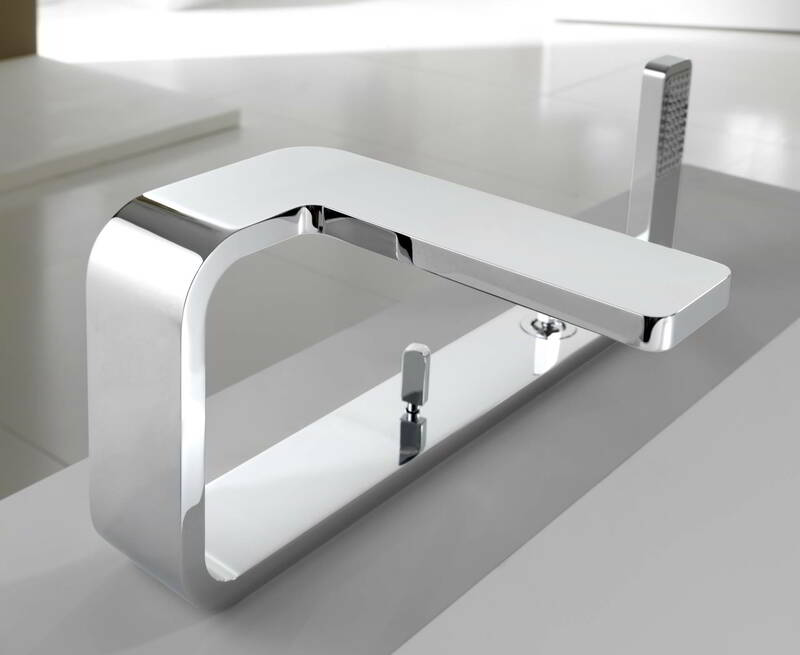 We are distinctive in design, but we are UNIQUE in the quality of the chrome of our taps. Beauty, durability and optimal resistance of the chrome finish guaranteed with rigorous controls and daily monitoring in the chrome plating phase, ensuring optimal thicknesses of nickel and chrome for each piece. 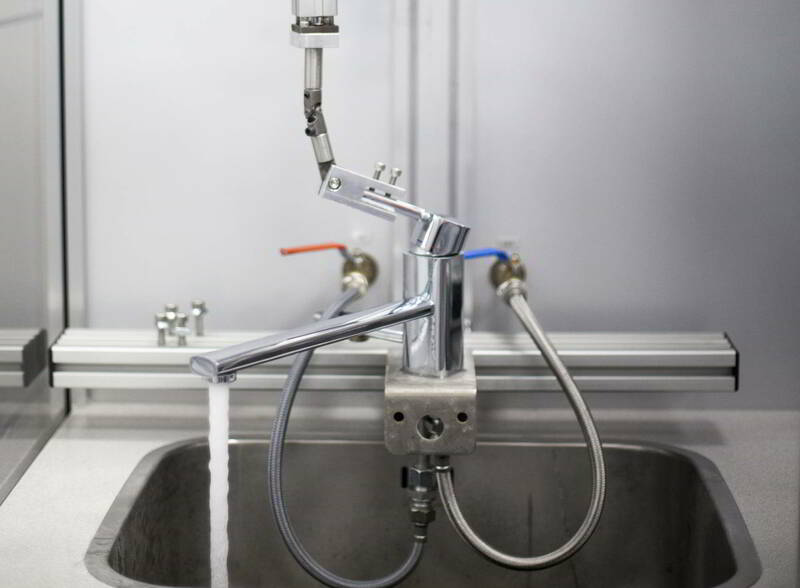 In our laboratories we periodically carry out trials, replicating the saline conditions of a real bathroom following European regulation EN 248, to confirm the reliability of our chrome. Cutting-edge technology. Three versions of Pure Line. 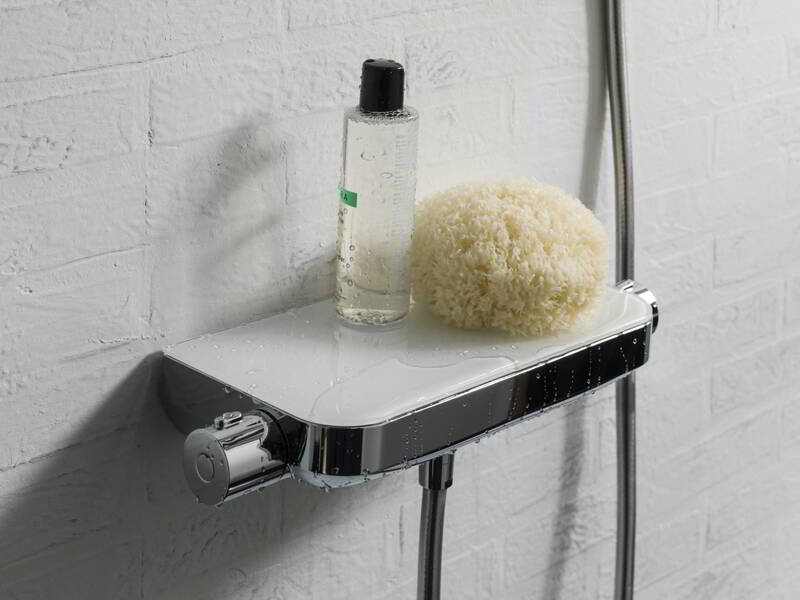 In the washbasin, shower and bathtub version, this revolution for the bathroom allows customised experiences to be selected, in the regulation of flow, temperature and outlet of water at a touch with T-START technology. In the mechanical version, the selection is controlled only manually using the lever. In the electronic option, LED lights are included for visual temperature control. We increase comfort in the shower. We have thermostatic taps which allow the desired flow and temperature to be selected and kept constant, even when other taps are turned on. Thermal comfort is quickly achieved, while water is saved. The ECO Stop button, present on some taps, allows the flow to be limited, and the SAFE Stop blocks the temperature at 38º to prevent potential burns. The custom experience extends to the cartridge. We have special TRI-Control cartridges for taps which allow the flow, temperature and water output to be regulated through moving the lever. Select the bathroom experience you wish to enjoy.